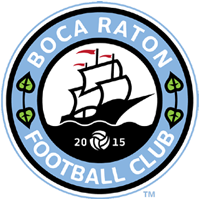 Boca Raton FC fell to NPSL Sunshine Conference pace setters Miami Fusion FC 4-2 despite a brace from Justin Wilbanks. NPSL Sunshine Conference leading scorer Victor Cardoso scored twice, his sixth and seventh goals of the season to pace Miami. The loss drops Boca Raton 12 points behind the Fusion in the race for the NPSL Sunshine Conference crown. Wilbanks struck from distance in the seventh minute to give Boca Raton the lead. However, Miami scored three times before halftime with Maximiliano Schenfeld equalizing the match in minute 15 before a double from Cardoso before the whistle blew for the half. Boca Raton’s first half was uneven, after a quick start the team had a hard time passing through Miami’s high-press and conceded three goals. After halftime, Boca Raton created more chances and had the better of play for large portions of the half. Wilbanks second strike in minute 68 was cancelled out by William Stamatis two minutes later. Boca Raton had several chances to claw back into the game by claiming a third, the best chance falling to Wilbanks who was played in by Eduardo Cruz s in minute 83 but he put his shot just wide. Both sides had a player sent off late in the match as the game which was open and free-flowing in the first half become chippier and more physical after halftime.